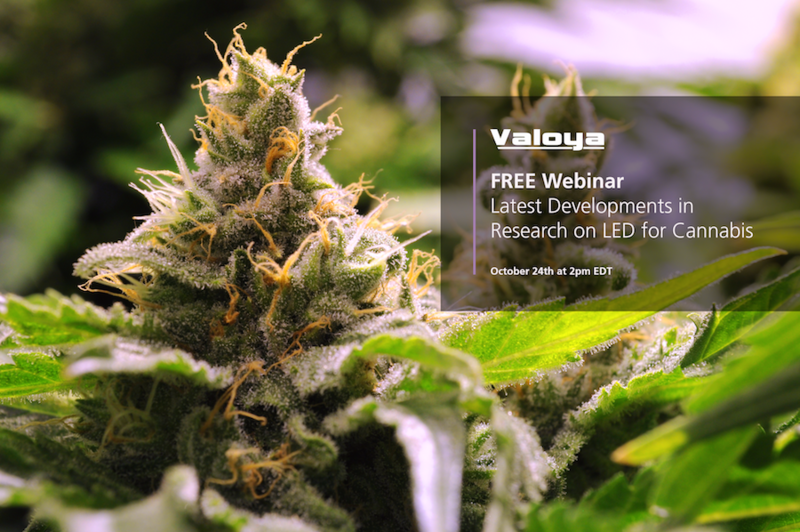 Valoya, the manufacturer of LED grow lights, known for their photobiology research focus announce a free webinar for professional cultivators of cannabis. In this FREE webinar you will hear about the latest scientific findings regarding LED light for Cannabis sativa. Independent research data on cannabis is usually not publicly available or simply does not yet exist. In 2018, a comprehensive academic study on HPS vs. LED lighting for cannabis has been published in the Journal of Medical Cannabis and Cannabinoids. This study has compared the effects of the two light sources on cannabis in two rounds and these findings will be presented during this one time only webinar! CREA-CIN from Italy, one of Europe’s leading agricultural research institutes has conducted the study and it was led by the famous Cannabis sativa researcher, Dr. Gianpaolo Grassi.